Who says kids are the only ones who can have fun coloring? Coloring books used to just be for children, but that's no longer the case! Coloring books for adults – we're talking drawings that are intricate, not "adult" – are big business, but you don't need to head to the book store or wait a few days for an online order to get started, or even spend any money at all. 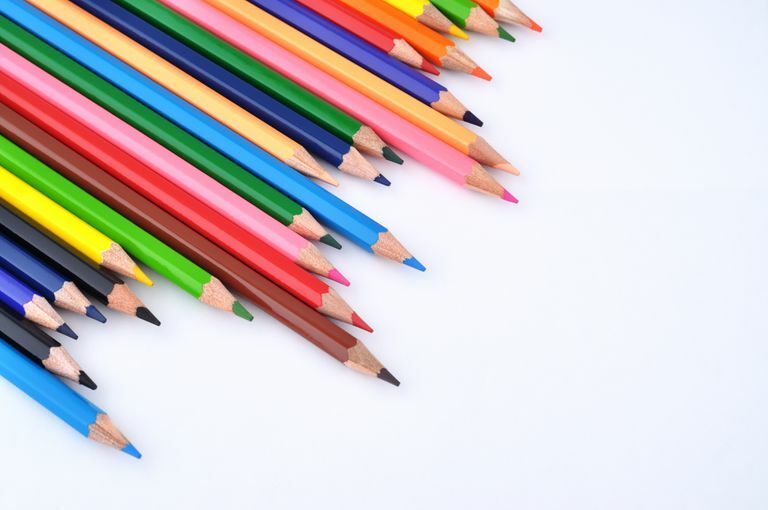 There are plenty of websites for online coloring, and all you need to get started are a printer, crayons or colored pencils, and some decent paper. When printing and coloring from these sites, we recommend something heavier than standard "printer paper," which is known by the more technical term "20 lb. bond" paper. Experiment a little, but you will probably want to pick up something a bit heavier than 20 lb. bond, as it will be less opaque and make your pictures pop a bit more. Here are some of our favorite picks for finding good coloring pictures. If you want one go-to site for all your coloring needs, we would say that Super Coloring should be that site. They have a huge number of images to choose from, divided into a variety of categories. Downloading or printing the images is a snap – some free sites will make you jump through a bunch of hoops just to get to the file you need. A few clicks and you'll have access to whatever pictures you need. One category they have that stands out is the "Famous Paintings" category. Here, you can find replicas of some of the most famous works of art out there, and the options within the category are very deep. There are household names like Claude Monet and Vincent Van Gogh alongside lesser-known artists (with paintings you will surely recognize) by artists like Paul Klee and Edward Hopper. Make your own version of your favorite masterpiece! Super Coloring also has a feature that not many other adult coloring websites have: you don't even need to print the pictures in order to color them. There is an option when you click on an image to "Color Online," which takes you to a coloring program right in your browser. It isn't the most in-depth program in the world, but it can cover you in a pinch and give you something to do if you need to kill some time. This site does have quite a few great coloring pages for kids, but it does seem that they have spent quite a bit of time beefing up their pages for adults as well. They also have a variety of categories to choose from, and their pictures run the range from very basic to extremely difficult. Some of the most interesting designs on this page come from their "Quote" coloring pages. Color some decoration for a home office, or maybe create some decoration to give out as gifts. Another unique category they have is a "Color By Numbers" page. If you have trouble visualizing how your page will turn out, these will help you get some practice under your belt while still coloring some great pictures. Super Coloring is close, but Just Color most likely has the largest gallery of pictures to choose from. Holidays, movie posters, stained glass, Celtic designs... If there's something you want to color, Just Color probably has at least a dozen variations of it for you to print out and get to work on. There are some incredibly intricate designs here, so there are some pages to really sink your teeth into. Best of all, you aren't going to run out of things to do with this site. Coloring Bliss doesn't have the sheer number of coloring pages that many of these sites have. And downloading the pages can be a bit of a project – to gain access to some of them, you will have to jump through a few hoops to help support the artist, Jennifer Stay. So what makes Coloring Bliss stand out? Jennifer Stay lays it out: "I have created a few hundred hand-drawn pictures for you to download, print, and fill with beautiful colors. Each drawing is carefully crafted with the final artist – that’s you – in mind. As we create a shape or fill an area, we imagine you selecting colors and losing yourself in the therapeutic art of coloring. We try to create drawings that will inspire any age and any artistic ability." Take a glance around Stay's page, and you'll see that she's right: her coloring pages just seem like they are put together a bit better than the pages on many other sites. Gaining full access might take a little more effort (and premium membership, for complete access) than these other sites, but people truly into coloring will probably find it worthwhile. Tried & True is a great crafting blog from mother of three Vanessa Brady. Like Coloring Bliss, this site has custom-designed coloring pages. There is not the huge volume that a few other sites have, but Tried & True specializes in cool designs surrounding inspirational quotes. All the quote coloring pages are perfect for customizing different spaces in your home or sending along with a loved one as they head to work, school, or anywhere else. One of her designs should get a special call-out: a series of "lunch box notes" to surprise your child with when they sit down in the cafeteria. Some kids will love it, some kids will be completely embarrassed by "their dorky mom/dad," but you know they will secretly love it.